A victorious day for working journalists and newspaper employees, as Supreme Court upheld the validity of the Majithia wage board, saying that its proposal are based on sincere consideration. 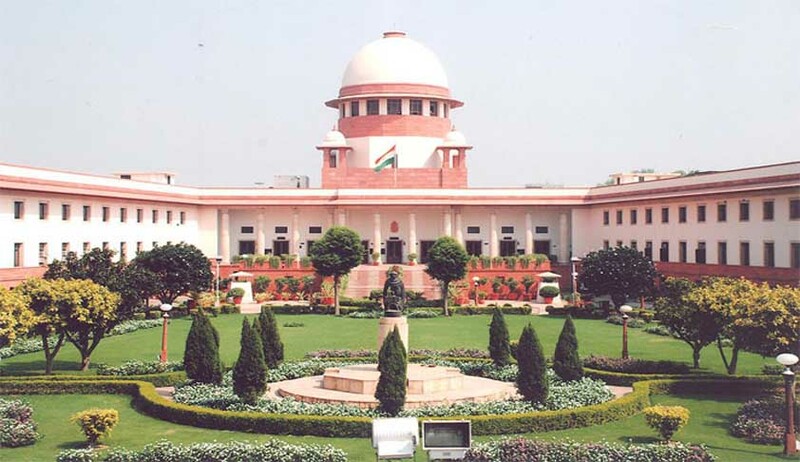 The newspaper organizations’ challenge to the constitutional validity of the working journalists and newspaper employees act, was also dismissed by the apex court bench headed by Chief Justice P Sathasivam, who upheld the procedure adopted by the Majithia wage board and held the differences pointed out in procedure was not serious in nature. As per reports the apex court bench, holding that their mere association to the government did not attribute any prejudice or independence to them, also upheld the independence of the two members. The court held that the wage board would be implemented from Nov 11, 2011 when it was notified by the government. The employees will get arrears from Nov 11, 2011 to March 2014 in four equal installments spread over a period of one year and from April 2014, the revised pay scales will come into force, under the recommendation of Majithia wage board. The challenge in the Supreme Court was to the recommendations of the latest Wage Board, which revised significantly upwards the wages of both journalists and non-journalists, as also the constitutional validity of the Working Journalists & Other Newspaper Employees (conditions of service) and Miscellaneous Provisions Act, 1955, under which the government constitutes Wage Boards. The ground for challenging the validity of the Act and the Wage Boards constituted under it by newspaper associations, companies and news agencies is that the newspaper industry is the independent case today in the private sector in India where its the government’s and not the employers decision that how much salary wage board employees should be paid. According to them, this is an old-fashioned legislation, and in the modern age of high technology and advent of electronic media, it has no social significance. It has been pointed out by the newspaper establishments that no other media including TV are restricted by a similar law. The contention of the industry is that as in other industries, wage fixation should now be left to market forces of demand and supply. Reports, stated that despite strong objections from the newspaper industry, in the year 2007, the Labor Ministry constituted the 6th (Majithia) Wage Board, and thereafter announced an ad hoc interim relief of 30% of basic pay with effect from January 2008, which was implemented by the industry despite the heavy financial burden. On December 31, 2010, the final recommendation was submitted by the Wage Board, which was notified by the Centre with certain modifications, a year later. If fully implemented, these would result in nearly 80%- 100% hikes, with some companies reporting that in certain cases, non-journalist employees like drivers, peons, clerks and stenographers would end up procuring as much as rupees 42,000 to 62,000 per month. As per reports, more than 55 years ago when the print media as an industry in the country was at a growing stage, this law was enacted when in many industries fixation of wages through wage boards was prevalent. However, since then, conditions have changed severely and except newspapers, the system of wage boards has been abolished from all industries. A writ petition filed by ABP Pvt Ltd. before the Supreme Court in May 2011 commenced the present challenge to the Act and to Wage Board recommendations. Other newspaper companies followed suit, and a succession of writ petitions were filed, including those by the Indian Newspaper Society, Jagran Prakashan Ltd, Printers (Mysore) Pvt. Ltd, Rajasthan Patrika Pvt Ltd, Tribune Trust, Indian Express Ltd, Bennett, Coleman & Company Ltd, Ushodaya Publications, Express Publications (Madurai) Ltd as well as the two major domestic news agencies, Press Trust of India and United News of India.